I was on the lunch break when both clubs met in Round 7 this year. Indeed I was watching the game on my tablet live. Suddenly my boss, the owner of the inn arrived without notice. She didn’t care I was watching footy and ordered me to help without respect. It was really annoying as I was on my break and had the right to watch my adoring footy and the mighty Saints in action! In addition, she talked to me rubbish even as I tried Watch AFL. I was unhappy because I was interrupted watching my foo-oh-tea!!!! According to study, blokes can listen to what others say for up to six minutes about their interests such as cars and sports (but not gossips). But I didn’t care what she asked me and the timing was bad. Then I was unable to keep my fan responsibility to support the mighty Saints. St Kilda lost by seven points at the time. b) I should offer the best conditions to support Saints on game days. As the hope to play finals was still alive, I had to keep my standards to support St Kilda. It’s time to do it even I have to work. I was asked to calculate occupant rates and number of guests in the last 15 months on Friday evening. Once again it was a bad timing. Couldn’t I do after my footy? But it’s impossible in reality. However as no one was at the inn most of the times while the game was played, I multitasks, watching the footy under the table and doing tasks. I hoped my boys answer my efforts to support the Saints. On the previous night, Geelong celebrated Jimmy Bartel’s 300th game and Corey Enright’s 326th game (the most games played by a Cat) at Kardinia Park. Bartel kicked a goal by himself to party. I respect and admire Bartel as an individual, but wanted the Doggies to win. And I hoped the Friday night footy wouldn’t affect the Saturday night footy at our favourite venue where Boomer Harvey would play his 427th game. Even under these circumstances I mentioned above, I was motivated to support the mighty Saints on Saturday. Recent weeks, I had been quite grumpy on game days, but my feeling was better compared to these tough weeks. Before the game, a Carlton supporter proposed to his Hawk girlfriend at the Hawks vs Blues game in Launceston. It’s a great effort. I hoped the St Kilda boys follow his bravery. Then the ball was bounced. However, Hickey could not win a hit out. Oh it happened again. But I remained calm (really? I was excited, wasn’t I?) at the reception of the inn. I believed we would win like last week against Bulldogs. St Kilda got great opportunities to score goals. I have no idea who influenced it, but their kicking was inefficient. Membrey, Bruce, Riewoldt, Weller and Billings missed goals. Where were the efforts we had showed in the last three matches? Bad habits we had showed on the Gold Coast were supposed to be gone by the time. Goals were booted at the last quarter. Bruce and Rooey did well, but the timing was not right. If they kicked efficiently in the first quarter, we would have shown the attacking footy and kept the Kangaroos quiet. While tuning in the game on my iPhone, Facebook notices popped up and I was annoyed. Some St Kilda supporters posted comments on a St Kilda supporters’ group page. Why didn’t they focus on watching the actual game? Some people wanted to discuss the game, but why on social media? They should know some supporters are watching the match on electrical devices where Facebook notices pop up. I understand how they feel, but want them to respect others who really want to watch a game live. And the boys want us to watch the game rather than interacting with social media. I need to learn how to switch off the Facebook notifications while footy is played. Controversial umpiring at the match has been discussed by media and social media alike. People in general might think these decisions were made to help Harvey celebrate his milestone. It was a bad timing. I want the AFL to explain why it happened to the club, Richo and the St Kilda fans! Balanced decision on footy and workloads (splitting tasks; including dealing with late check ins and day offs) are important in general. Our hope for the final has gone… Beating North was essential to get the seat for the finals in the last minute. St Kilda supporters need times to heal for a while as well as Bulldogs fans. 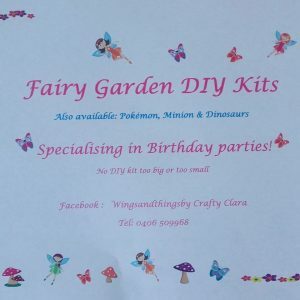 In my Round 14 match report, I mentioned my friend Claire’s craft items for children. Devastated young footy fans could feel better with her wonderful stuff. I attached her business card for your interests. I have been told that the timing was important to ask a lady to date me. I didn’t believe it because it doesn’t make sense if both of us like each other. But it can be true (however I am unsure). But timing is not an excuse to lose. Players and coaches are required to provide their best performance on the footy field. Long term, St Kilda are still on improvement. Young blokes are going forth and back. Sadly, Saturday was the latter. I need to be patient to see the second flag. But no more next week or next year. Once again I realise how much I love the Saints. What Mark Finey said on the Final Siren show make sense. While we often change workplaces and it’s possible to change partners, it’s less likely to move on to another footy club to support. I am a crazy Sainter. I look forward to watching the next game against Carlton with Yvette. It’s amazing how a team’s performance varies from week to week. Last week Rooy and the others couldn’t miss the goals against the Dogs and their pressure on our players when we had the ball was…well, Bulldog- like. I suppose that’s what makes it so hard to tip nine winners each week. I was going to write a story called ‘Confessions of a Footyholic’ about the Cats versus Dogs match before I remembered I had heard it before. I just noticed it was listed above as one of your stories, so I’m glad I changed the title. You must be excited to catch up with that other mad Sainter from down under (Yvette) and to watch the Carlton game together. There was a story in the Herald-Sun newspaper today about a Shar Pei puppy called Yoshi who was having some work done on his legs which needed remedial work. I wonder if the owner got the name off the Almanac? Yes I can’t believe we couldn’t score goals against Kangaroos after the win over Bulldogs. It was like how we played on the Gold Coast after the upset against Geelong. I think defense line for North was so tight. I wished out boys ran fast to break their defense line. I hope your Bulldogs will win over Kangaroos next week. Breaking their defense is needed. Yes I am excited to meet up with Yvette and watching footy together. As for the dog you mention, who knows? It’s possible that the owner named after me because of this great site. Maybe we can ask the author about it. Some people just have no respect, Yoshi. Nothing worse than someone talking rubbish while you are trying to watch the footy. As a North supporter, I thought that the Roos were a little fortunate. Had the Saints not butchered so many chances, it could well have been a lot closer. But IF is such a big word. Thanks for your nice comment on someone talking rubbish while watching the footy. That’s what many blokes don’t like, isn’t it? Your Roos have a strong defense line that it was hard for us to break through. And you put much pressure on us. That’s why we couldn’t kick goals straight, I reckon.